Behind 360 Total Security is the Chinese company Qihoo, known mainly for its security software. 360 Total Security is its best known product. However, who would have imagined that a product called "Total Security" would be free? However, this is the case at Qihoo. Little known in our regions, we wanted to give a chance to this product which, on paper, has many qualities. 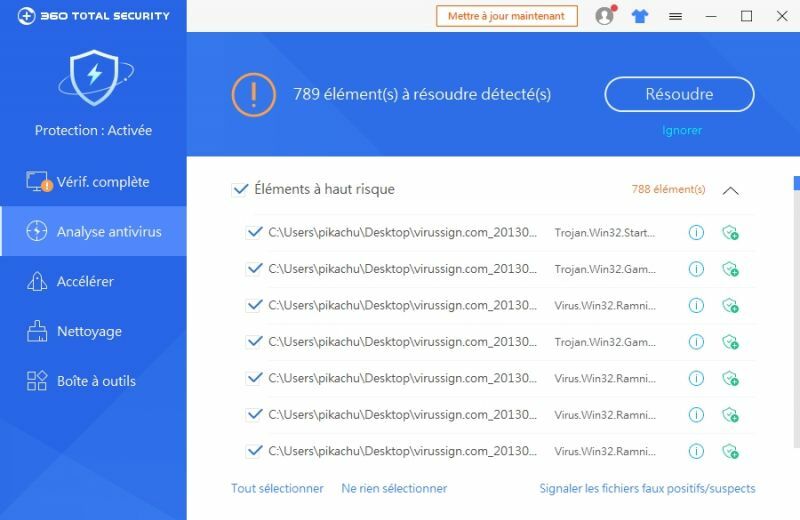 Let's see if 360 Total Security deserves to be included in the best free antivirus products in our comparison. After retrieving the antivirus file from 360 Total Security's website, we immediately installed it on our machine. 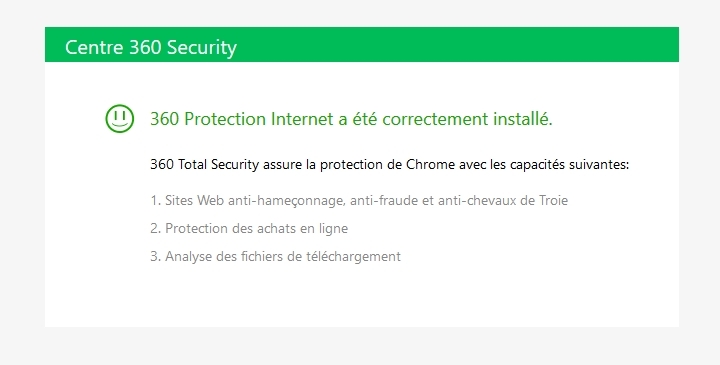 First thing we notice: an additional installation is automatically checked: that of Opera, a well-known web browser. 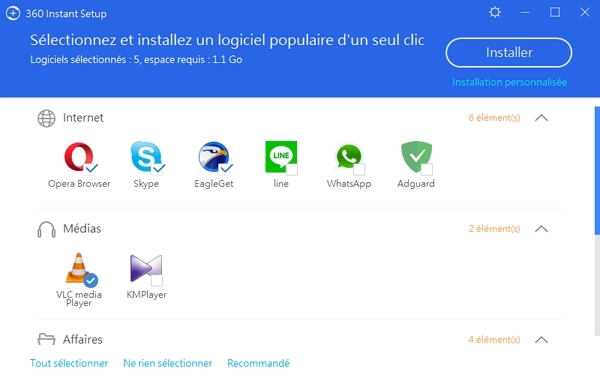 If you do not want this software, do not forget to uncheck the box. While 360 Total Security completes its installation, a transparent window appears on the right side of our screen. Apparently, the antivirus comes with a widget called "Desktop Organizer". This tool is there to help you organize the icons, files and folders that are on your desktop. Don't get too used to it because it is one of the features of the premium version of the antivirus. At the installation of 360 Total Security, you have 7 days of trial to take advantage of this option. 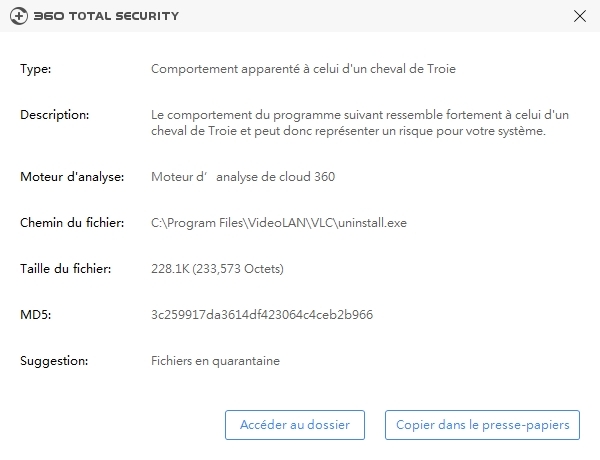 Finally, just before the main antivirus window appears, another element appears on the screen: a tool called 360 Instant Setup, which allows you to install software on the fly. We suspect that they are partners of the publisher such as Skype, Line, VLC or Ashampoo. After all these visual distractions, we finally reach the main window of 360 Total Security. By clicking on a menu option, the rest of the interface adapts to the display of available tools. The buttons are then more visible and a quick description allows you to know what this or that feature is used for. 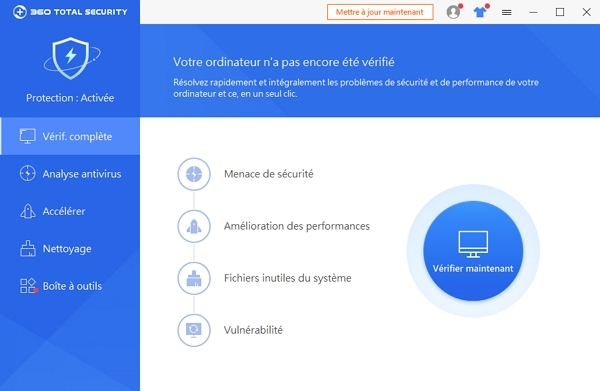 Namely that 360 Total Security is offered with a French translation, which was not the case a few years ago. What stands out is that 360 Total Security does not give us the impression that we are dealing with a program dedicated to security. We no longer feel like we are dealing with an optimization software that has some antivirus components. 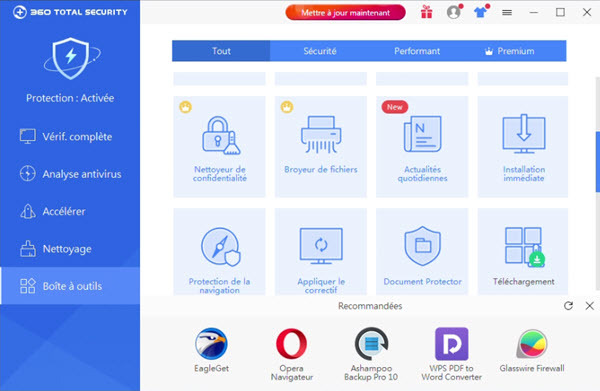 Although it is a free antivirus, 360 Total Security offers many additional tools. 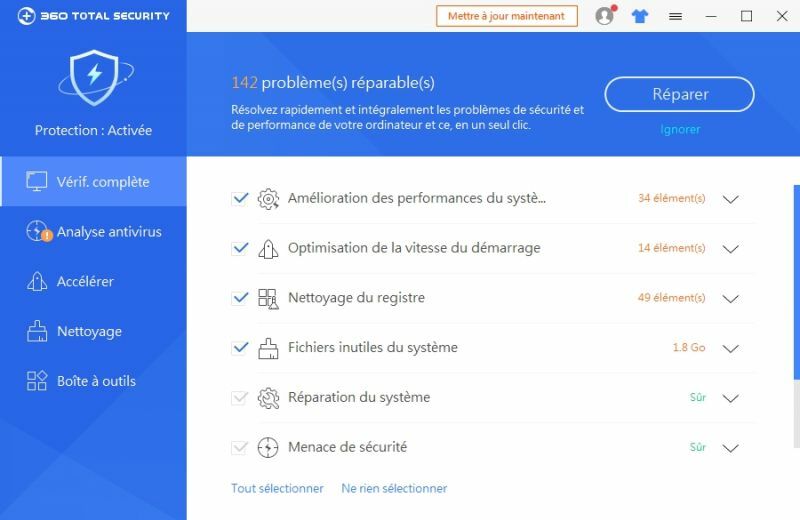 We also find a classic antivirus analysis with several degrees of action: fast, complete... 360 Total Security also has two menus dedicated to accelerating and cleaning the computer. Finally, there is a function called "toolbox" which offers many optional utilities to download. As always, our first concern is how the antivirus scanner is doing. We started by running a scan on our test machine without any threat. However, 360 Total Security has detected a problem. Looking at it further, we see that he considers the VLC uninstall file as a Trojan horse. This is a false positive that we add as an exception. Bad start for 360 Total Security. We then implemented our test protocol: a file full of malware was placed on the computer after disabling the real-time protection of the machine. Then, a first complete analysis was carried out. The latter was quite fast but far from effective. 360 Total Security has detected many threats but many have fallen through the cracks. A second analysis detected some slag but not all malicious files. The same applies to the neutralization side, which was impossible for a good third of the files detected. We see in the antivirus options that it is possible to have two additional detection engines: those of Bitdefender and Avira. Surprisingly, they are not enabled by default: so we decide to do a new test. The results are slightly better but many files escape the 360 Total Security scan. Finally, the detection performance did not convince us, the antivirus seems quite light compared to the free competitors. In the software settings, we notice that a web extension is available for several browsers (Chrome, Firefox, Yandex...). We install it immediately to check its effectiveness: according to the description, its function is to block dangerous links in real time and it can even protect your purchases on the web. After installation, the extension is visible in the browser toolbar. Unfortunately, there was nothing she could do to help us: we were able to visit many sites that were considered dangerous without any problems. The protection of 360 Total Security has even been advanced several times by Google alerts. Our conclusion? 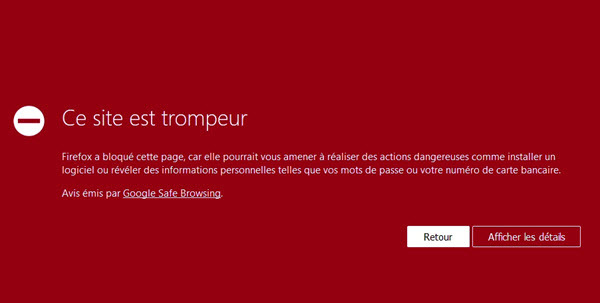 Don't rely on this extension to ensure your security on the web, your browser will certainly do better on its own. As far as optimization tools are concerned, 360 Total Security is very extensive, so much so that you might think that this is its main function. The software has two tabs: one dedicated to accelerating the PC and the other to cleaning it. Behind these fuzzy terms are tools to manage software that starts at startup, clean up unnecessary files or manage network load. These modules have the merit of being fast and can boost the computer even if it remains temporary. We appreciated the tool dedicated to the detection of unnecessary files that we found powerful. The last feature of 360 Total Security that we will discuss is the toolbox. It is a succession of small third-party software that the publisher highlights in a dedicated window. However, it should be noted that not all of them are accessible: some have a small crown-shaped symbol that indicates that they are reserved for paying customers. 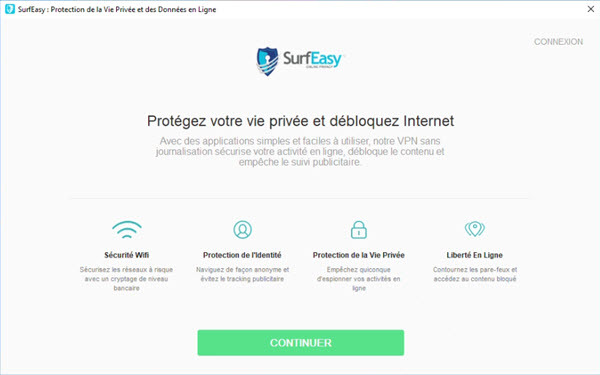 In the free tools, we find for example a VPN (it is actually the SurfEasy service), a game booster or a registry cleaner and a sandbox. While some of them integrate perfectly with the antivirus (such as the sandbox, which becomes an option in the software settings), the others are probably only 360 Total Security partners that the company highlights. What the user gains by downloading these options is above all a bunch of new icons on the desktop when everything could have been better integrated into the security solution.